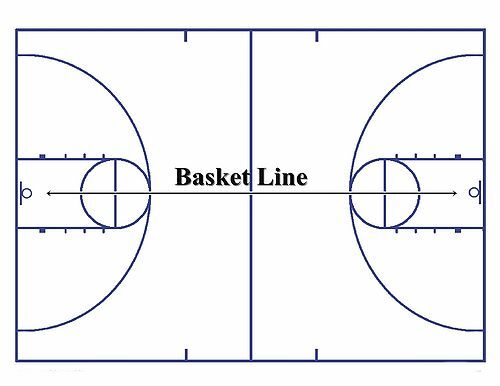 Basket line is an imaginary line that runs from basket to basket down the middle of the court. The basket line is used to define many things in basketball terminology, including Strong Side and Weak Side possession, spacing, and positioning, elements of Help Defense, plus much more. This page was last modified on 12 September 2012, at 13:05.